Posted October 14th, 2011 by epb & filed under Comic, Random. 4:04 – Time is not found. 5:00 – Time is Broken. 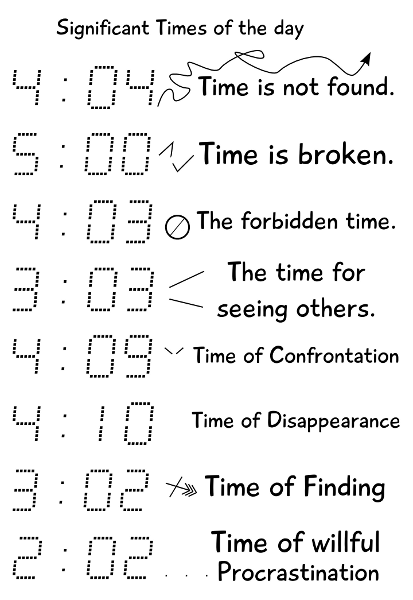 4:03 – The forbidden time. 3:03 – The time for seeing others. Don’t quite get it? Read up on HTTP error codes. Posted October 14th, 2011 by epb & filed under Games, Programming. It was mentioned that a sequel to Zombinanza has long been missing, and as a consequence Zombinanza 2 shall be attempted to be started to be made. Harass me if it doesn’t.